WASHINGTON, DC — Today, DC Councilmember Mary Cheh (Ward 3) announced the details of a nation-leading new bill that takes a comprehensive approach to reducing carbon emissions. The newly introduced bill, known as the “Clean Energy DC Act,” would implement the strongest renewable electricity standard in the country, create groundbreaking building efficiency standards, and increase an existing fee on dirty energy that would create revenue for clean electricity projects and low-income ratepayer assistance. Today’s press conference comes on the heels of superstorm Florence, which brought intense floods that devastated North and South Carolina, killing at least 42 people. Experts say the flooding was worsened by global warming and sea level rise. It also took place shortly after Mayor Muriel Bowser committed to bold new climate goals at a global summit in San Francisco, including carbon neutrality by 2050. Councilmember Cheh explained how the “Clean Energy DC Act” positions DC to achieve the ambitious climate goals to which Mayor Muriel Bowser recently pledged. Previous to the global climate action summit, Bowser has committed to reducing DC’s fossil fuel emissions 50 percent by 2032. DC is currently not on track to meet these ambitious climate goals. 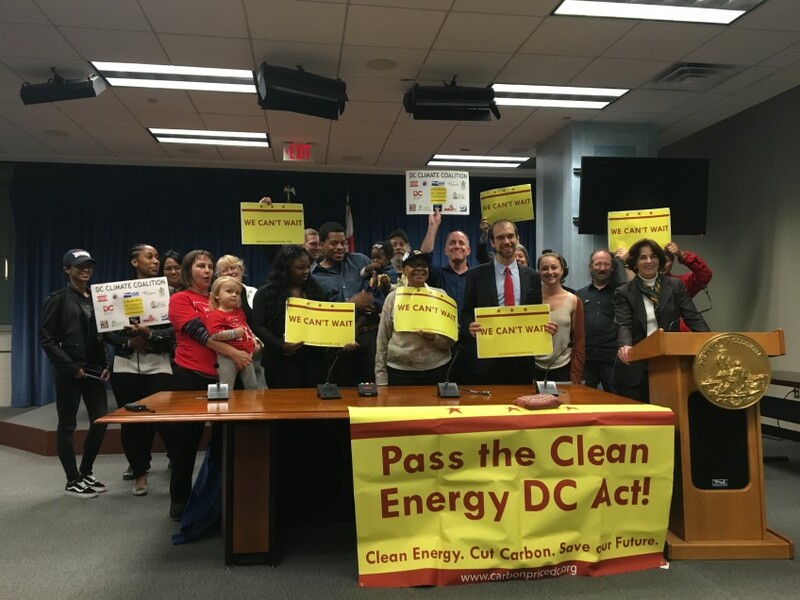 The “Clean Energy DC Act” would put the District on track to achieve them. A recent analysis from the Department of Energy and Environment shows that by 2032, the “Clean Energy DC Act” would reduce DC’s annual greenhouse gas emissions 49.4 percent from 2006 levels. The “Clean Energy DC Act” would strengthen the District’s renewable electricity requirement to 100 percent by 2032 through the Renewable Portfolio Standard. This would put DC on the fastest timeline to 100 percent clean electricity in the country — California recently passed a bill for 100 percent carbon-free electricity by 2045. It also creates groundbreaking efficiency standards for new and existing buildings and funds local programs to assist low-income residents as the city transitions to more sustainable clean energy systems. In addition, this legislation takes aim at emissions from home heating and transportation. It would scale up an existing heating fee called the Sustainable Energy Trust Fund (SETF), which would raise up to $70 million to finance renewable energy projects and provide assistance to low-income DC residents. It would also adjust the vehicle excise tax to incentivize clean cars and make owning dirty vehicles more expensive. The legislation also authorizes the District to put a price on transportation fuels if Virginia and Maryland commit to the same. This bill is supported by the “DC Climate Coalition,” which is comprised of more than 100 environmental and justice advocacy organizations, faith groups, unions, consumer advocacy organizations, D.C. businesses, and more. 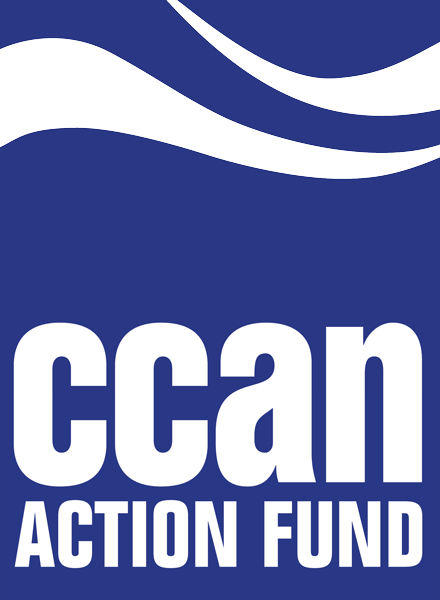 Paid for by CCAN Action Fund ( www.ccanactionfund.org) and not authorized by any candidate or candidate's committee.